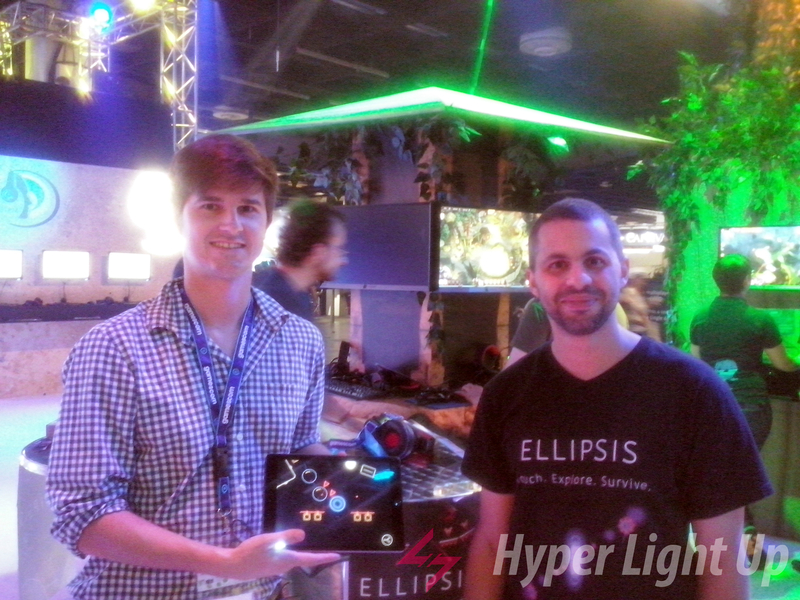 During Gamescom 2016, near the Indie Arena Booth we found the developers of Salmi Games with their game Ellipsis. We had the chance to try out the game and also talk to Yacine Salmi, lead developer of the studio, about it. The game is a minimalistic action survival game that runs on touch devices. You basically touch the screen with your finger on a circle and you guide the circle from spot to spot, avoiding harmful obstacles, until you make it to the very last spot to finish the stage. Simple yet addictive. At least we found it to be so. The studio behind the game is comprised of 2 people and the game has been in development for almost 2 years now. Yacine told us that it took a lot of preparing various prototypes before they could decide on how the gameplay mechanics were going to work. “We had the issue of the finger being in the middle and hiding a lot of information on screen, so we just decided to go with it. The developers said they tried to have as little information on the screen as possible in order to keep things simple. “The game has very simple gameplay but we definitely wanted a much deeper experience, so that took a lot of reiterating to get to the point where we were happy with it,” explained Yacine. The developer also explained that they went without any text in the game, which initially they thought would save them a lot of time on many things but ended up becoming sort of an issue in some cases. Nevertheless, they have kept the game very simple and the focus was on getting the player to understand the game by playing rather by reading instructions, which at the moment works very well. “We wanted 98% of the testers to get it, otherwise we would have added a tutorial,” said Yacine. The game has also won various awards in the past years, with some of them being the Intel Level Up Best Action Game and Game of the Year awards. The developers plan on going to the upcoming Pax event as well as the Tokyo Game show. The game is available on mobile devices, iOS and Android for 2,99 euro. For more news and updates about Ellipsis follow the game on its official website, Facebook and Twitter.